Flickers and blinks we might have never noticed years ago are brought to our attention today by the world of digital electronic devices all around us. Today, when walking in our home after work or from an evening out, the first thing we notice is a “flashing clock”. What this lets you know, however, is that Jones-Onslow’s electrical distribution system is actually working the way it was designed—here’s the explanation. Blinks occur when an obstruction, like a tree limb, comes in contact with a power line or transformer. To minimize the possibility of damage to the cooperative’s electrical distribution system and your home (and the sensitive electronic equipment in it), a circuit breaker (called a recloser) interrupts the circuit for a fraction of a second. If, for instance, a tree limb remains on the line, the recloser opens (cuts power) a second time, and again tries to close (provides power). If the obstruction is still on the line after the third try, the breaker stays open (cuts power). At this point, cooperative crews will need to be dispatched to the location, examine the situation, remove the obstruction and reset the breaker. As mentioned previously, system blinks actually mean that our electrical distribution system is working properly. 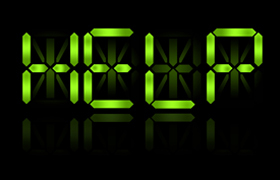 Older digital clocks and other devices are the most vulnerable to blinks; newer models are designed and made to ride out small voltage fluctuations. When purchasing appliances or other electronic devices for your home that might have a digital clock, look for one that will withstand occasional power blinks.